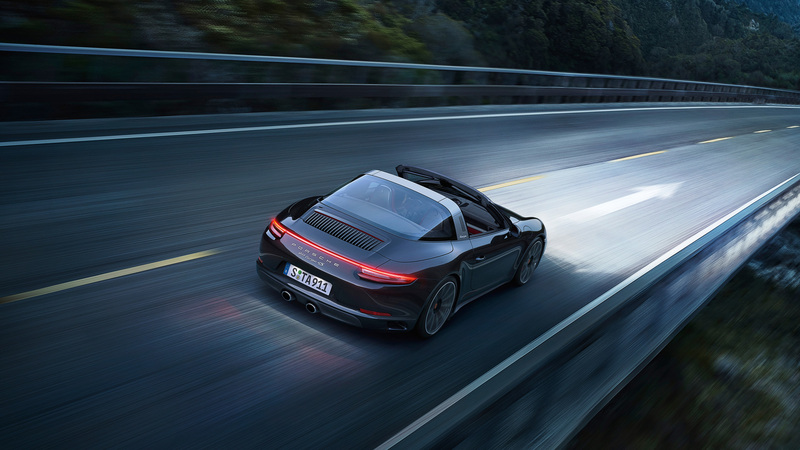 The engine of the 911 Targa 4 develops 370 hp. The maximum torque of 331 lb.-ft. is available from as low as 1,700 rpm. 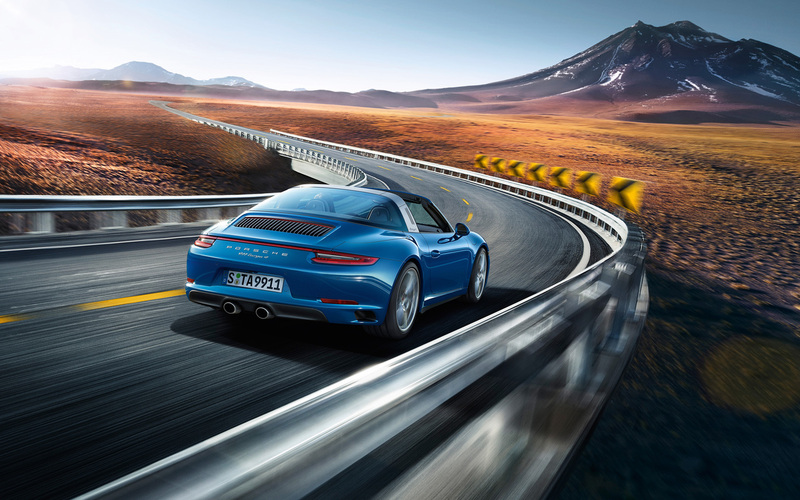 With Porsche Doppelkupplung (PDK), the 911 Targa 4 can accelerate from 0 to 60mph in a mere 4.1 seconds. Top track speed isn’t reached until 178mph. The propulsive potential of the engine in the S model, featuring upsized turbochargers and independent exhaust system, is even more impressive. It generates a power output of 420 hp and the maximum torque is a mighty 368 lb.-ft., available from as low as 1,700 rpm. 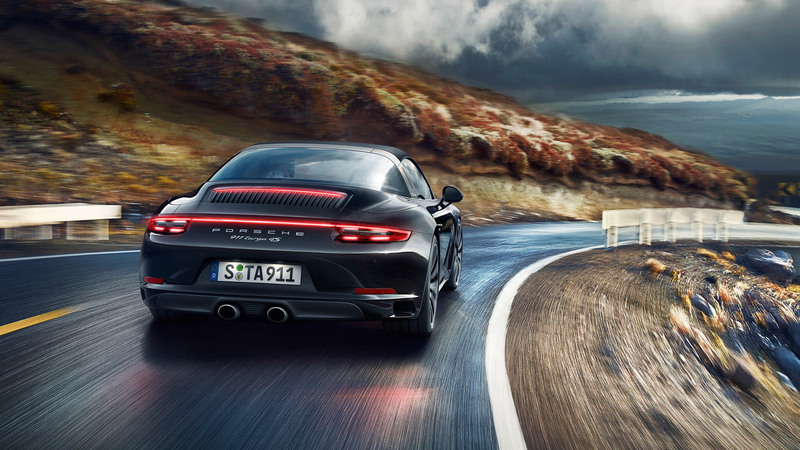 With Porsche Doppelkupplung (PDK) and Launch Control, the 911 Targa 4S sprints to 60mph in a mere 3.8 seconds. Top track speed isn’t reached until 187mph. 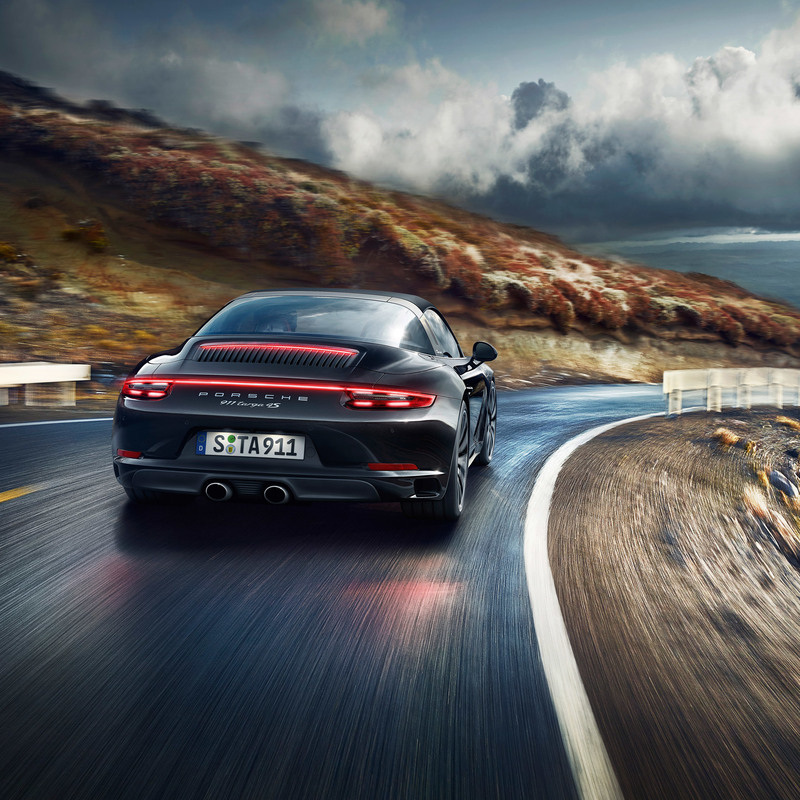 It’s a first for any Porsche turbocharged boxer engines, and it’s a technical innovation. 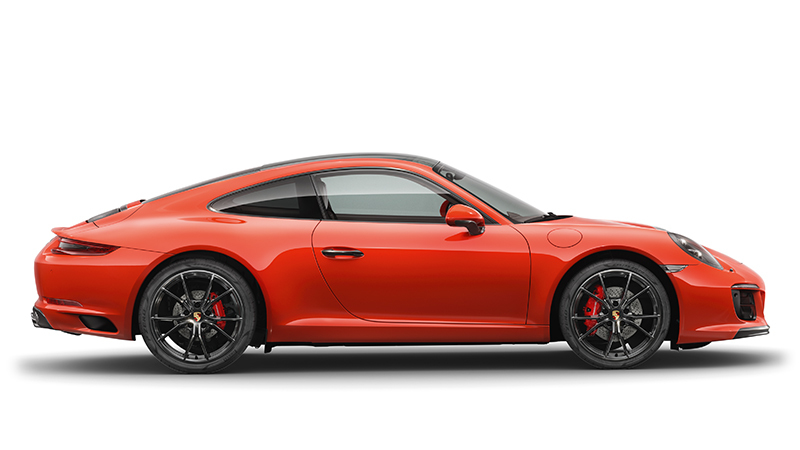 Available as an option for the new 911, the sport exhaust system features two catalytic converters and a rear silencer, which lead into two centrally positioned tailpipes. For a look otherwise more likely to be seen on the racetrack. 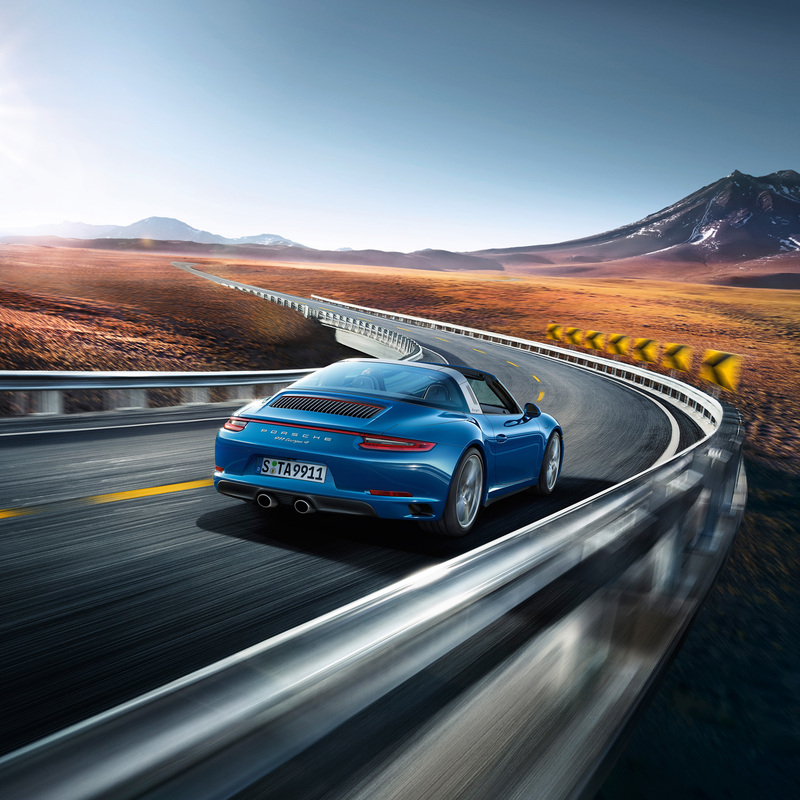 For impressive resonance and an intense sports car sound – typical of the 911. For 100 % Porsche. And for goose bumps at the push of a button. First, then, let us explain the function before we come to the form. A combustion engine without air cannot do any work at all. That’s physics. 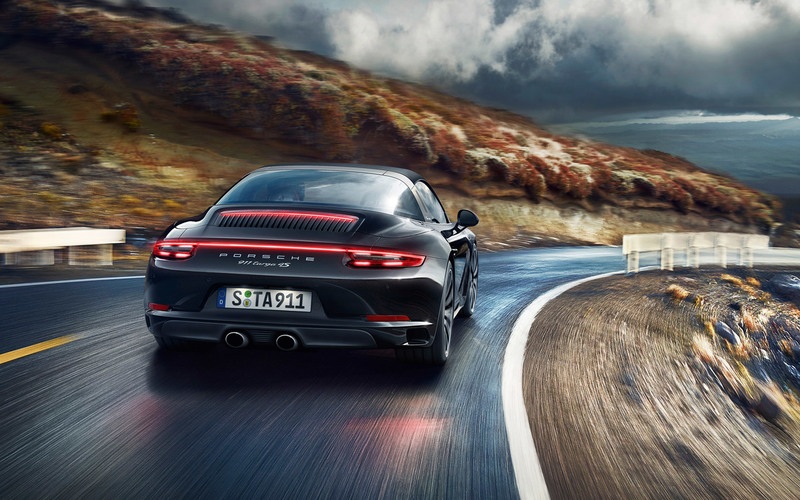 A Porsche engine needs a lot of air to breathe. That’s motorsport. And the turbocharged drive layout of the 911 Targa 4 models inhales more than ever, thanks to the longitudinally arranged slats of the rear lid grille. Sharp, sporty and timeless. The contouring of the rear is even more clearly defined, making it look wider, brawnier and more heavily built. That’s our approach to the theory of evolution. 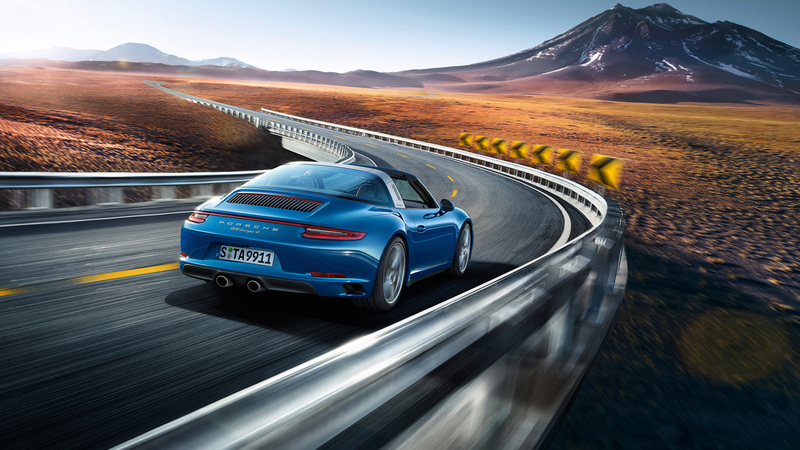 Incredible sportiness is the number one discipline of the 911 Targa 4 models. Turbocharged induction makes their engine not only more efficient, but also more powerful. In figures: 370 hp. The high torque of 331 lb.-ft. is available early on at an impressively low 1,700 rpm. 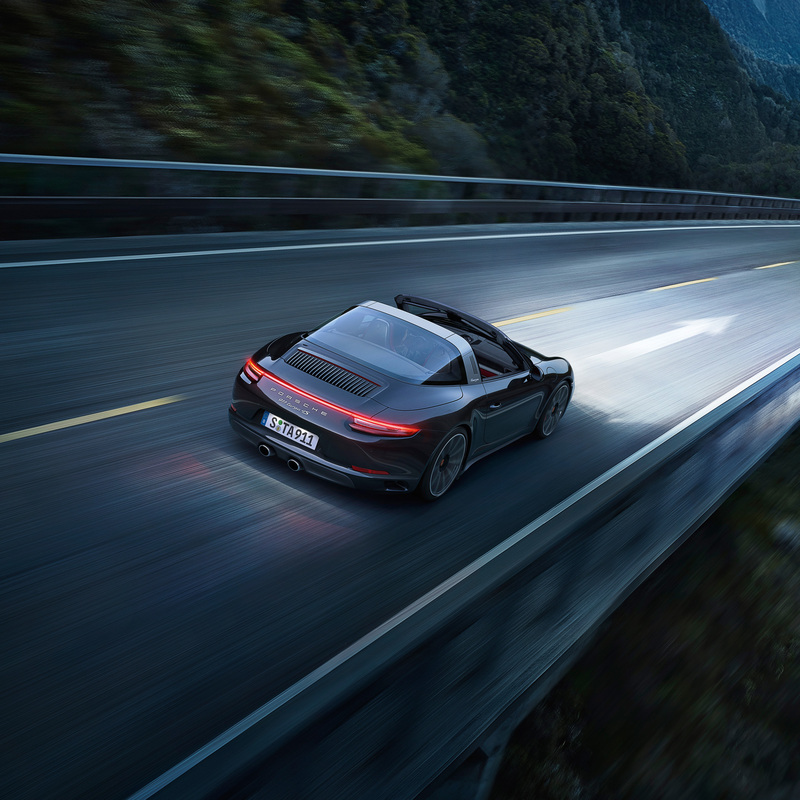 A performance promise delivered to the driver without detour – across a wide engine speed range.